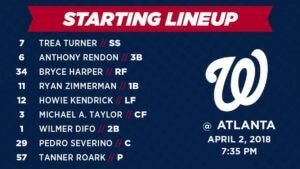 The Washington Nationals take on the Atlanta Braves today at SunTrust Park on April 2nd, 2018. 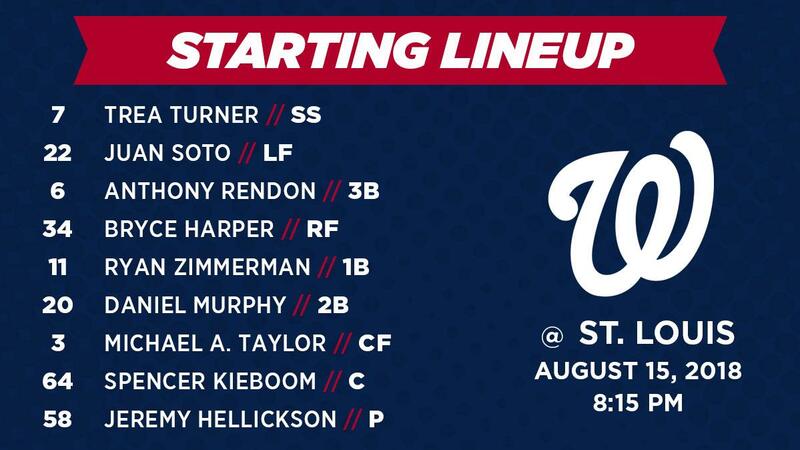 The pitching matchup is RHP Tanner Roark(0-0, -.- -)facing LHP Sean Newcomb(0-0, -.- -). 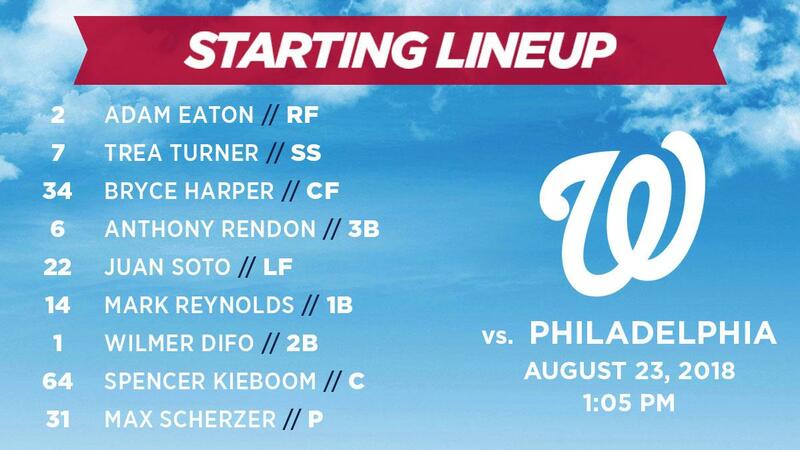 The lineup goes as follows, SS: Trea Turner, 3B: Anthony Rendon, RF: Bryce Harper, 1B: Ryan Zimmerman, LF: Howie Kendrick, CF: Michael A. Taylor, 2B: Wilmer Difo, C: Pedro Severino, and P: Tanner Roark.